Pediatric Dentist Seguin: Looking For Dental Care For Your Teen? Alligator Dental Can Help! It is essential to start proper oral hygiene early in children. Learning health dental care habits as a child can help to promote a lifetime of healthy smiles, which is why parents are often tasked with the challenge of getting their little ones to brush and floss regularly. Once your child reaches adolescence, it may prove even more challenging to reinforce the benefits of proper care. In many cases, teenagers are accepting toward going to the dentist, but do not want to continue going to the same kids’ dentist that they grew up visiting. If you’re in need of a pediatric dentist in Seguin or San Marcos, Alligator Dental is proud to serve as trusted choice across Texas. We also tailor our Teen Clinic to deliver age-appropriate services that help blossoming adults focus on proper oral care while avoiding the kiddie stuff. If you and your teen are currently looking for a fun dental clinic that is as professional as it is fun, Alligator Dental is here as a top choice! Today, we’ll discuss a couple of services tailored specifically towards teenagers, as well as the environment we provide to allow teens to be themselves. When you’re ready, be sure to contact us to make your appointment! As your little one grows into an adult, he or she will likely experience numerous changes when it comes to oral health and any associated services. Teens today face factors that play a major role in the safety and comfort of their smile, which is why Alligator Dental focuses on reinforcing the long-term benefits of proper oral care. Braces — Our cosmetic dentists understand how frustrating it can be to have a smile that is not absolutely perfect. Teeth that come in crooked or produce an uncomfortable bite can be very disruptive, which is why our pediatric dental specialists provide the full support needed to restore any smile. 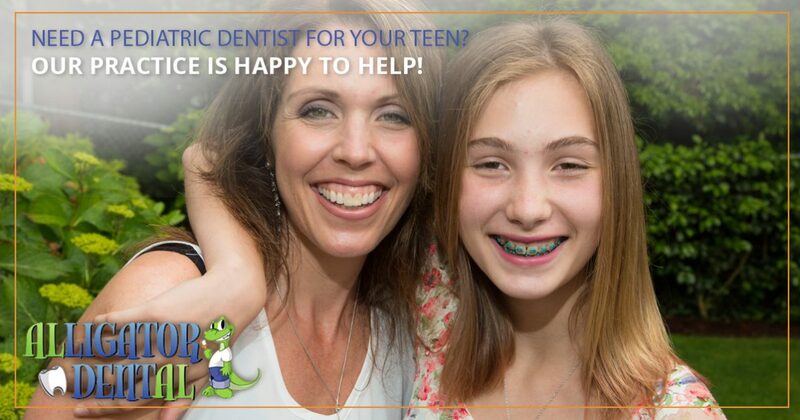 Orthodontic services can prove to be well worth a lifetime of healthy smiles, and Alligator Dental will be happy to work with parents and teens to find the right solution. Wisdom teeth — While children typically have all of their permanent teeth in by the time they reach adolescence, their third molars will typically come in the late teen years. Your growing child may have enough space for their wisdom teeth to grow in with no complications, or they may become impacted and require surgical assistance. In either case, Alligator Dental in Seguin and San Marcos is here to provide complete care every step of the way to prevent pain, discomfort, and infection. Teen lanyards — This colorful adornment ensures that you are not treated like one of the little ones. Our lanyard also comes with a WiFi password to ensure that our patients have the internet access they need to be entertained while waiting to see our professional dentists. Complimentary earbuds — Want to listen to some tunes, but forgot your headset? No problem! Alligator Dental provides freebies to let you tune out the other noises while enjoying your favorite music, show, or movie. Kindle options — Don’t have your phone on you? Simply borrow one of our modern Kindles to watch TV, surf the web, listen to music, or all of the above! Teen lounge — The toddlers have their own spot, so why not the teens? We have a designated hangout spot ready for the older crowd, complete with charging stations to ensure no disasters happen. 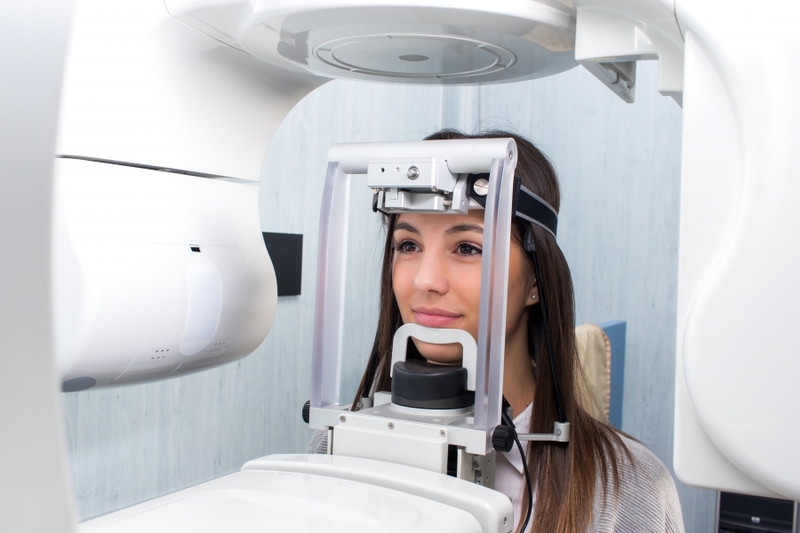 Contests and prizes — You put your time in at our dentist’s office to achieve a healthy smile, why not get something cool out of it? Alligator Dental hosts teens-only contests and hands out prizes to ensure you’re always excited about visiting our dental care clinic. Teen treatments — Need to get some work done on your smile? Feel free to choose a personal treatment experience from our menu to customize your experience. Teens can choose Comfy Stuff to remain comfortable, Aromatherapy to relax and unwind, Media to stay entertained, or Zoning Out, which is self-explanatory. Achieving the right balance of comfort and independence can be difficult when finding a family dental care specialist for your teen. Our pediatric dentists at Alligator Dental understand, and will work diligently to deliver age-appropriate services in a fun environment. We strive to achieve healthy teeth and happy smiles for children of all ages, and are always welcoming new patients. Contact us today to learn more about our Top Rated Local® kids’ dental services, and be sure to schedule your appointment to see how fun the dentist can be!